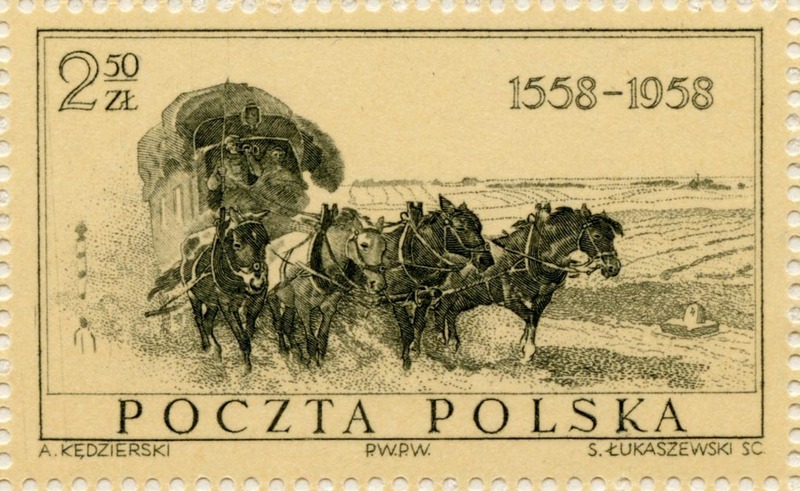 Poczta Polska, the Polish postal service, was founded in 1558. The three partitions of Poland in 1772, 1793 and 1795 saw the independent nation of Poland and the Polish postal service disappear. The postal services in the areas occupied by Germany, Austria and Russia were absorbed into these countries postal services. The Free City of Kraków was established in 1815. Under the constitution that it had been given the city was responsible for the post. Prussia, Austria and Congress Kingdom all established post offices in the Free City of Kraków to collect mail for delivery to their respective countries. Various different handstamps were used; KRAKAU by Prussia, CRACAU by Austria and KRAKÓW by Congress Poland. The Free City was annexed by Austria on 16 November 1846 as the Grand Duchy of Cracow. In the Russian occupied area, Congress Kingdom was established and in 1855 control of the postal services was briefly given to the Congress Kingdom, but following an uprising in 1863 it again came under Russian control from 1866 and continued so until World War I. 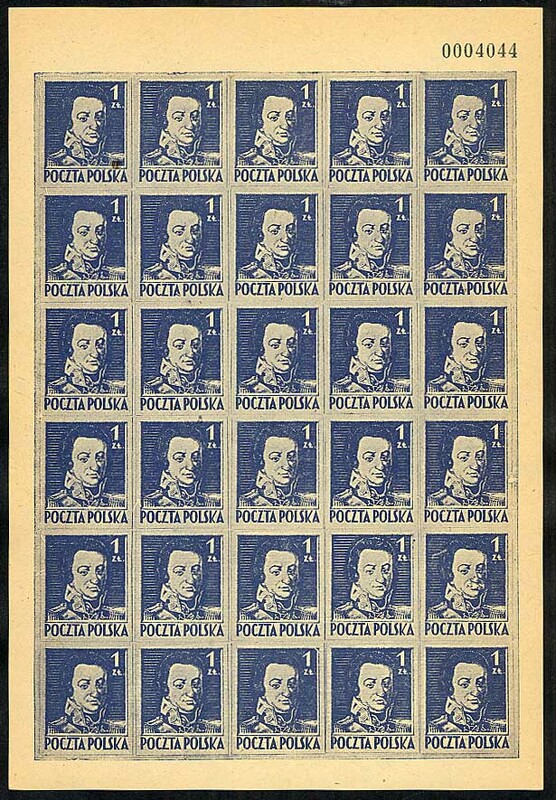 While the Congress Poland had control of its postal service the first Polish stamp was issued in January 1860 and it was in use till April 1865, during which time a total of nearly 3 million of these stamps were used. During World War 1 Austria occupied the southern part of Congress Poland. No special stamps were issued. 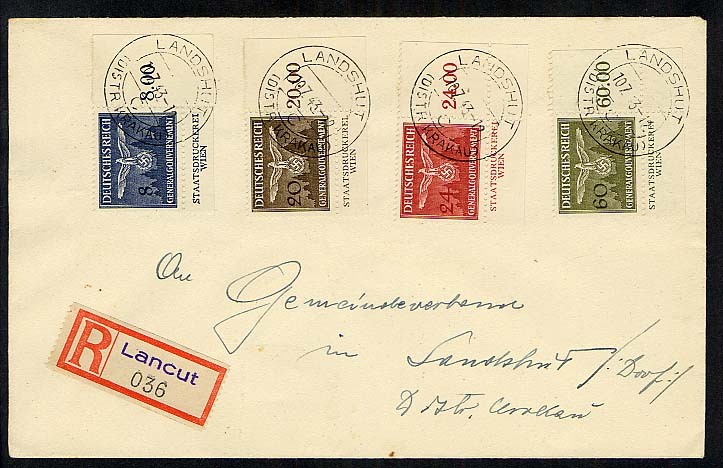 Austrian field post offices were set up which used postmarks with Polish town names. The area occupied by Germany was named General-Gouvernement Warschau and on 5 November 1916 it was proclaimed a "Polish Kingdom" by both Germany and Austria. On 12 May 1915 German stamps overprinted "Russisch-Polen" were first issued for use in the German occupied area at the time. On 1 August 1916, after the fall of Warsaw and the complete occupation of northern Poland, stamps overprinted "Gen.-Gouv. Warschau" were issued to replace those issued in 1915. The occupying forces did not provide any local delivery service; they left it to town councils to set up their own local delivery services. Some of these councils produced stamps for providing this service others just used cachets, which were stamped on the letters. Most of the stamps were produced without permission of the occupying authorities. 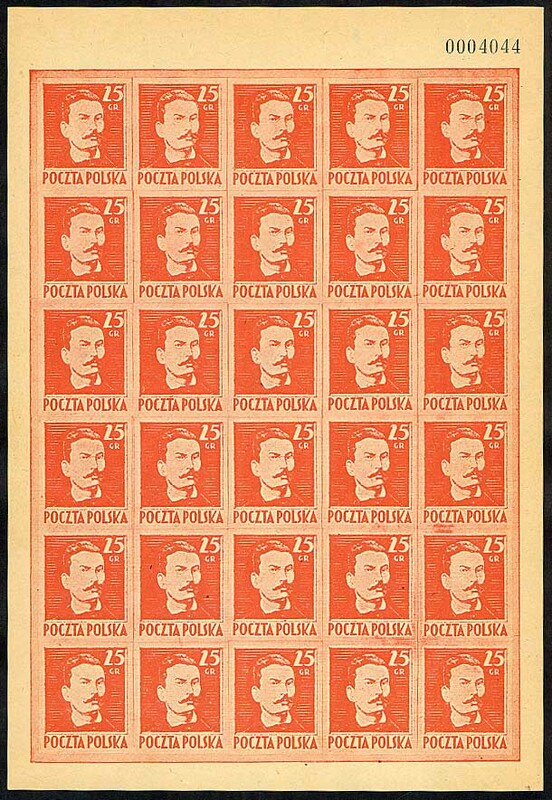 In November 1918 the Second Polish Republic was created and regular issues of stamps commenced. 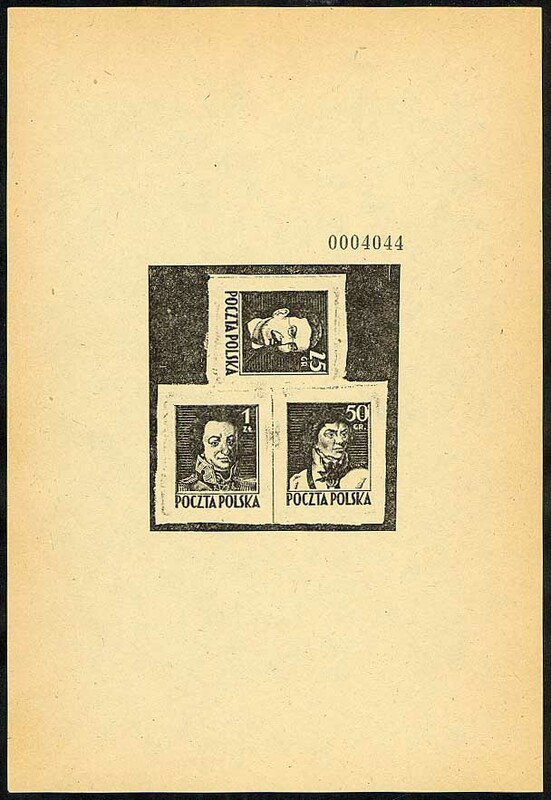 1958 was the 400th anniversary of the Polish postal service and it was commemorated with an issue of seven stamps, a miniature sheet, a book "400 Lat Poczty Polskiej", a stamp exhibition in Warsaw and a number of commemorative postmarks. "The soul of Poland is indestructible... she will rise again as a rock, which may for a spell be submerged by a tidal wave, but which remains a rock." ~ Winston Churchill, speech in the House of Commons, 1 October 1939. Meetings: Sunday of each month 4.00pm – 6.00pm at the Polish White Eagle Club, 211 Balham High Street, London. Postal auctions held twice per year. Tel. 01322 273072 for more information. Founded in February 1939 by Chester Mikucki. Polonus has grown from a "local Chicago club" into one of the largest and most active specialized philatelic societies in the world and now boasts a large international membership. For English click on EN (top left on home page). When you click on Philately, German is also available. 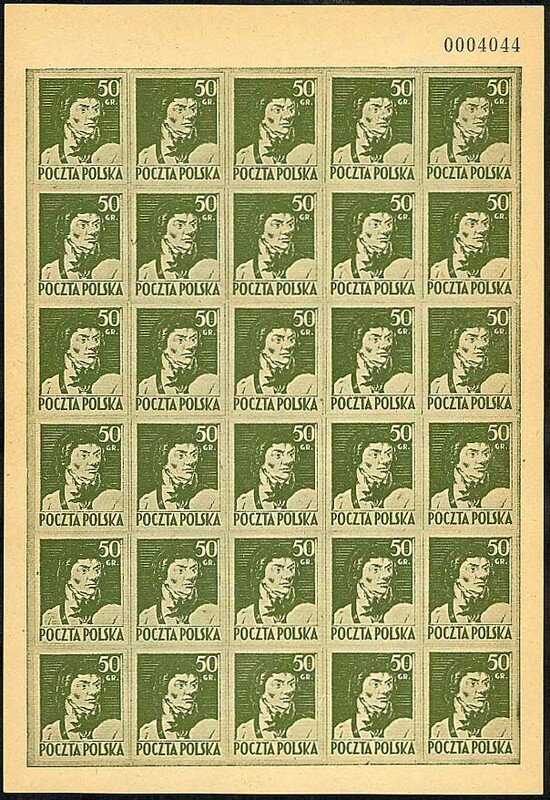 In 1979 reprints of the 1944 proof (shown above) were supplied with book "Poczta Polska w 1944 roku" together with reprints of complete sheets of the 3 stamps in original colours, using original plates. What is this item? - On the reverse of the stamp there is an expertisation handstamp "Heintze". The period, commencing with the independence of Poland till the issue of the first definitive stamps by the Polish Ministry of Post & Telegraph, forms without doubt the most interesting part of Polish Postal History. In early 1917 Germany was confident of winning the war and was planning to restore the Polish monarchy, when the war ended, under German rule. So in the early part of 1917 the German Authorities requested the Polish Civil Administration in Warsaw to arrange for a submission of designs, by Polish designers, for a definitive series of stamps for this planned Kingdom of Poland. A plebiscite was held on 11 July 1920 to determine whether the people of the district of Allenstein wished to remain in East Prussia or become part of Poland. German stamps were overprinted OLSZTYN ALLENSTEIN and were on sale from 3 April 1920 till 20 August. On the 26th July 1944 Rudnik nad Sanem was liberated from German occupation and on the 31st July 1944 the local Post Office was re-opened in the town by, the postmaster, Wojciech Kosierb. During the second world war a large number of Polish people were taken to Germany. Some as prisoners, some as forced labour, some were taken into the armed forces and some were simply made to move to live in Germany. A look at the history and postal history of this city. The city has seen stamps of Prussia, North German Confedaration, Germany and now Poland being used in its post offices. A letter from a WWII Polish Soldier to his bank! Envelope with a 1945 postmark of Field Post Office 252 and a Polish postal cryptonym P/40 S addressed to the Bank of Scotland, Edinburgh. 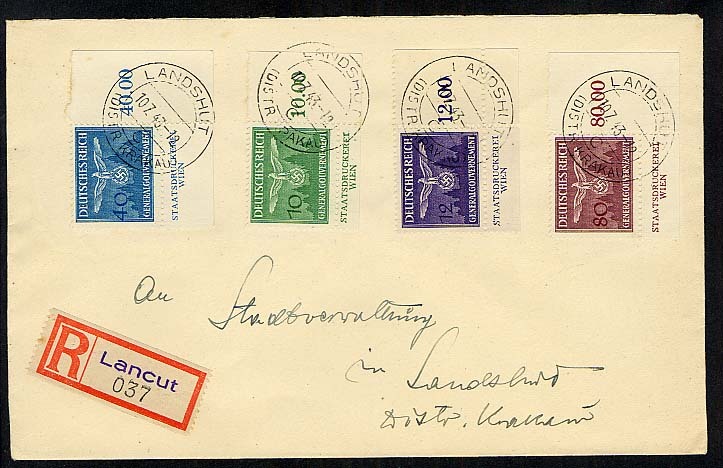 A Complete set of the Official stamps issued on 16 February 1943 used on three registered covers. 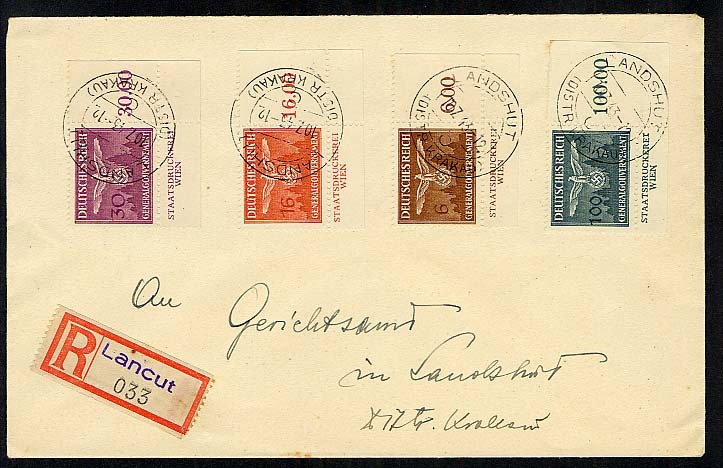 Postmarked 10.7.43 Landshut Dist Krakau with Lancut registration labels. All these stamps have been taken from the bottom right corner of the sheets complete with margins. This exhibit, from the George K Zelwinder Gold Medal Collection, displays all officially approved district overprints as well as small local offices that made their own creations for overprinting. An extensive site about the local stamps issued during World War One. The occupying forces did not provide any local delivery service; they left it to town council set up local delivery services. Some of these councils produced stamps for providing this service others used cachets, which were stamped on the letters. Most of the stamps which were issued, were produced without permission of the occupying authorities. Przedborz is one of those town which issued its own stamps. Polish troops took part in the occupation of Czechoslovakia on 21.8.1968. They were withdrawn soon and replaced by Soviet ones. Mail to/from Poland went through the central field post office of the 2nd army (in Hradec Kralove) and the civil Polish post office Klodzko 3. Specialised collections of Poland, includes a large library of philatelic literature in Polish and foreign languages. 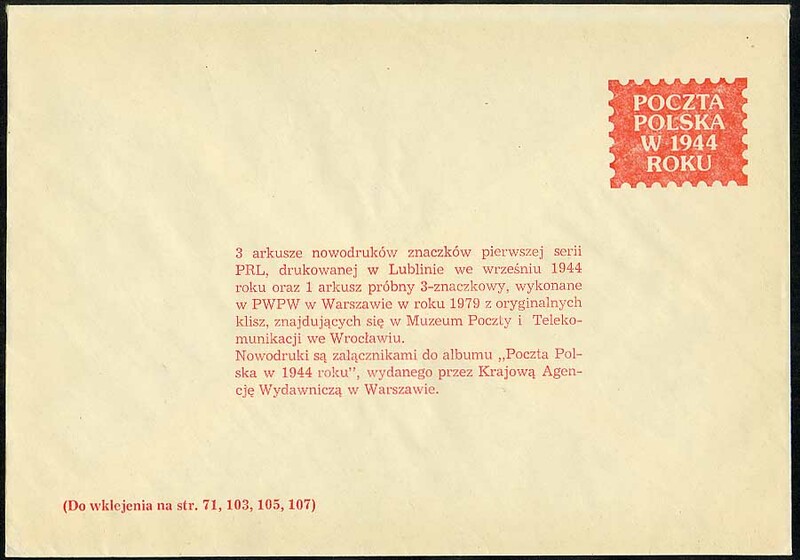 Bojanowicz Collection of Polish Postal History 1938-1949. Presented by M A Bojanowicz to the British Library in 1966. Covers the wartime posts in Poland and of the Polish Free Forces.